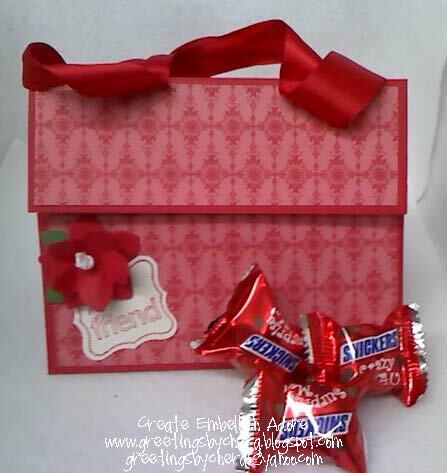 I just have to say.. Chera Cupid didn't bake! I know you might be saddened by this - so take a moment... once you compose yourself, let me know.. I will be here.... are you with me? You see - my corporate FT job took a huge toll on me yesterday, and while I wont get into details, I attended a yoga class. It was more for calming me down, finding my center than for the athletic ability.. since twice I fell down - with tears in my eyes... but I digress.. NO PITY PARTY for me I got home from the class, made dinner, finished up a few things, missed Grey's Anatomy (will catch OnDemand or Hulu) and headed to bed to be able to start Friday as a new day! 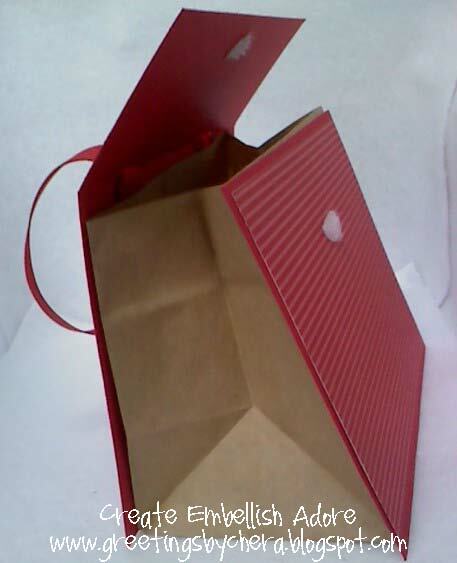 Here is the side of the bag - proves that its really a paperbag! Paperbag Purse as seen HERE . Becky Roberts is great!! ... Can you believe this is the first time in 2 years that I have been holding on to this tutorial that I used it? Amazed I know!!! Pushed off the dust and decided IT WAS TIME! 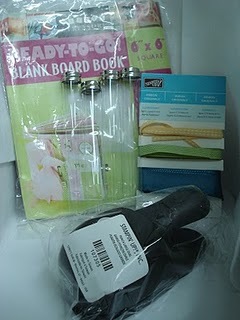 Again, do not forget, leave me a comment- and your name will be entered into a drawing for Blog Candy! Yes, calorie free candy! These are BEAUTIFUL!!! Definitely saving this idea in my inspiration file for future use!! Thanks for sharing. This is super sweet! Very cute. Hope you are having a better Friday, I know how that corporate job can be...it's been one of those weeks here too. Great idea for the bags, love the DSP!! I am so very glad that I stopped by your blog "after" I had dinner because you always have something awesome to eat (or in other words, something I am not suppose to have)! Love all your projects! You are very talented. These purses are so darn cute. 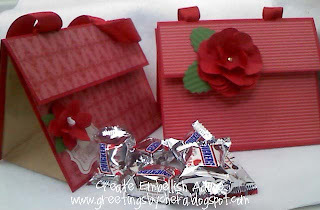 I love how you decorated them and filled them with CHOCOLATE!!! Yummy! I sure hope you have a great weekend and you do something nice for yourself! 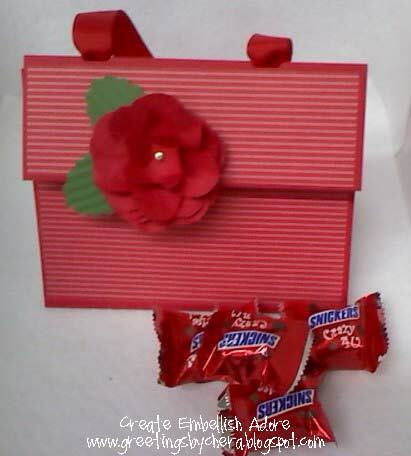 Chera Cupid - those paper bag purses are just the thing I need to make for my gals. They will be impressed! I'll have to wait to buy candy on the way - so they get a little! I agree Becky Roberts is ubber-talented. Thanks for sharing.